UK Sexual Health Awards- Finalist!! Read all about the UK Sexual Health Award here and learn more about the Sexual Health Professional of the Year award category here. We are not resting on our oars. We are inspired to DO MORE! 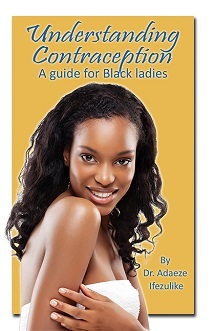 Free books ‘Understanding Contraception: A guide for black ladies’ donated to the Aberdeen Maternity Hospital. Sandy Ross General Manager at Aberdeen Health Village receiving free copies of ‘Understanding Contraception’ for patients use. Well done! You are inspiring women not only to achieve more for themselves but to live fulfilled lives while doing so. Proud of you. Big congrats for making it to the final list in the first place. I sincerely hope you get the award. All the best!